Commencing their journey with Road Trauma Support Services Victoria (RTSSV) in 2003 when, three years after commencing their careers as paramedics with Ambulance Victoria (then Metropolitan Ambulance Service), they responded to an article calling for volunteer speakers in our Road Trauma Awareness Seminar program. Their experiences in assisting people directly impacted by road trauma have informed their work with RTSSV and their innate generosity and compassion led them to continue to both positively influence driver behaviour, and also offer much needed and invaluable peer support to other volunteer speakers who are also impacted by road trauma. Whilst they have stated in this year’s annual report that they are inspired by the resilience and courage of our volunteer speakers, it is us who are inspired by their generosity and commitment since 2004 to our organisation and road safety. 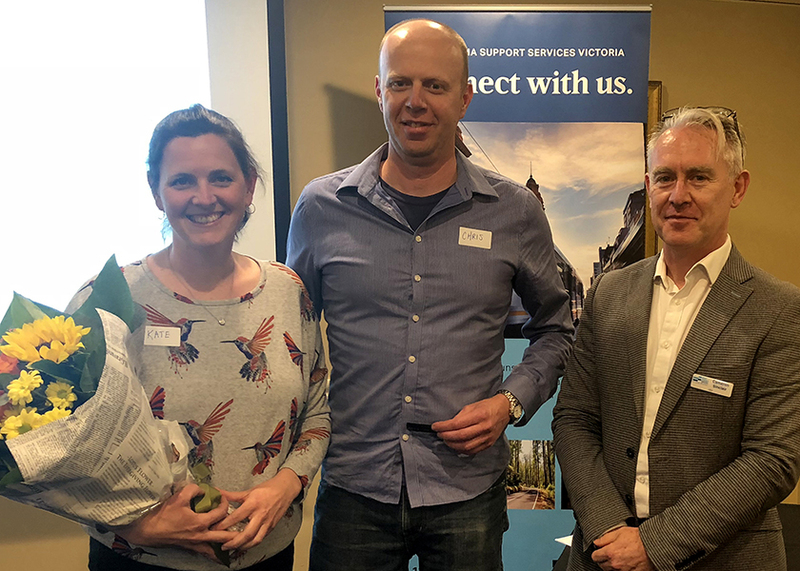 It is our privilege and pleasure to admit RTSSV’s first-ever husband and wife team to Honorary Life Membership, Kate Drain-Parkin and Chris Parkin (pictured below with CEO, Cameron Sinclair).